- by Chris Isles, Australian Planner of the Year 2015 and International Executive Director for Planning. A Demographer, a German Town Planner and a Parks Commissioner all walk into an Australian bar and each of them remark about the ‘Missing Middle’ and need for greater housing choice within our communities. I wish this was the start to one of those typical ‘three people walk into a bar’ jokes, but no, it happened last week, when Place Design Group hosted a pop-up food truck and craft beer rodeo in a recently renewed, inner city warehouse, as part of the PIA National Planning Congress, here in my hometown of Brisbane. Now these three people, far from being random strangers or even planners were in fact key note speakers from the congress. Each of them then went on to deliver their addresses and each reaffirmed their bar room discussions regarding a major looming issue both here in Australian and globally. Despite their backgrounds, topical persuasions and kilometres travelled, all three shared the view that that we simply can’t keep building cities the way we have in the past. And, that we truly do have a ‘missing middle’ in terms of infill housing densities and housing forms. They agreed that our best opportunities for change will be in our inner and middle city precincts, where we already have significant investment in infrastructure and services that could be better leveraged, rather than continuing to build new development on the fringes. There is a gaping hole in the Australian housing market. And this makes sense. When you have three, preeminent people from around the world, all remarking about the importance of this and the gaping hole in the Australian housing cross section, then I think we should all sit up and pay attention. Merge these conversations with other recent developments in the Australian cities space and we have a confounding few years ahead of us. We have our Prime Minister and his Federal Cities Agenda (which by the way is tremendous to have the Feds back thinking about Cities). 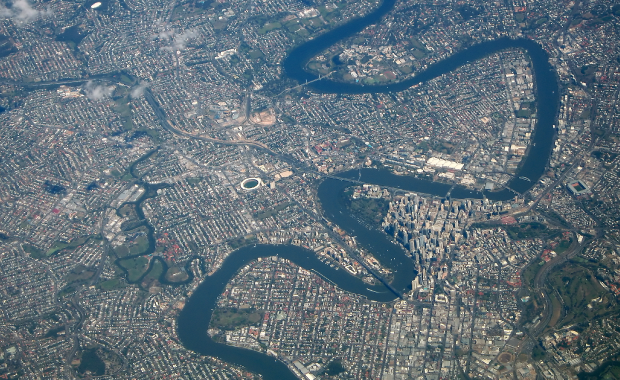 There is talk about ‘30 Minute Cities’; the launch of the South East Queensland Regional Plan Conversation series to inform a review of the SEQ Regional Plan; and the massive impending task of the Greater Sydney Commission to prepare a plan for Greater Sydney over the next nine months - and we may have a dilemma. We have a federal government, and many of our State Planning strategies pushing us for infill and redevelopment of the inner and middle rings (and international experts telling us this is the right strategy), yet these are, and will continue to be the most contested spaces in the fight between NIMBYs and progress. The places in cities where we genuinely have the best chance of to physically deliver this ‘missing middle’ density, are also those areas which will be the toughest politically and community perception wise. We can’t just accept the easy path anymore. Although it is typically much easier to develop on the edges, being that the only people it displaces are typically a few farmers who benefit from the land sale anyway, it is important to recognise that we can’t just accept the easy path anymore. A quote that resonated with me during the congress, came from the Commissioner of the New York City Parks Department, Mitchell Silver. Mitchell said that “Smart Cities know a sense of urgency 10 years before it’s urgent.” So, can we get away with continuing our current approach of super low density on the edge and super density in the middle for another decade? Probably. But, I would argue using Mitch’s logic that if we want to get ahead of the pack, then now is the time for us to get busy and have a greater sense of urgency in finding and prosecuting a new alternative, and infill housing program within Australian cities. So what is stopping this from happening? I would argue, and recent engagement has shown that it isn’t a fundamental opposition to growth, just an opposition to bad growth. Even worse, I would argue that planners and Councils are not great at communicating and explaining what this infill and redevelopment might look like. As a result, people assume the worst (and perhaps rightly so) setting the tone for apprehension and fear of redevelopment, without anyone really enunciating the positives and opportunities that this redevelopment can bring for precincts. Better communication and engagement is the answer. To me, this is first and foremost a communication and engagement problem - and a solution. So why are we so bad at communicating visions, or potential for precincts and our cities? Personally, I think it comes from being both too reliant upon old consultation tools and techniques that haven’t kept pace with the rest of the technological and communication expectations of the world. Everything is so ‘in the now’ that flat 2D plans don’t really do us any favours, nor does picking five or six typical images of what it might look like, because people will assume it will look exactly like that. And when a development fails to meet those images then the community is disappointed. So whilst local governments are generally perceived as being effective at proactive consultation during planning scheme drafting, when it comes to the post-consultation follow up, their approach is generically viewed as quite poor with communication on the outcomes lacking. This is probably budget related, and once a plan is done we move onto the next project or task. But, the Australian Bureau of Statistics (ABS) census shows that significant numbers of people move residence each intra-census period, with more than 40% of people nationally having moved at least once in the last five years. When you combine these ABS facts with these communication perceptions, it highlights the challenge of high population mobility and a gaping hole in the communication of development expectations. It assumes that the community does their own research when buying or renting, which shows that information could be either too hard to find, to understand, or that planning issues are not top of mind when making the decision to take up new residencies. At a simple level, perhaps local governments should consider a greater need to go back out to the public, and better communicate with them advising of their garnered learnings and understandings. Perhaps this is just a resourcing issue, as we know that when resources are poor, there can be little time available to come back to the community – However this too is why we need to find more cost effective and efficient methods to advise the public, in a way which works better for all than it currently does. Let’s simplify communication in planning practice. Examples of these types of improved resourcing and efficiencies could include technological solutions such as apps, and of course, big data, etc – all topics close to my own personal agenda and mission to improve and simplify communication in planning practice. The whole point of the planning process is that it is an agreed vision. And, providing that occurs, then there should be no need to go back to the community at that stage. The important point that needs to be mentioned here, is that development is a risky proposition at the best of times. And as functioning businesses, having those agreed development guidelines to work to is critical, as is the certainty that comes along with it. This in itself, is the dual benefit of having a planning scheme. To provide certainty for both sides of the development equation, not only for existing residents and property owners, but for developers or private individuals wanting to simply change or amend existing residences. How are we ever going to convince planners to plan and regulate for the missing middle housing, whilst equally convincing developers to have a crack at innovating and delivering this housing? Especially when this will be scrapped out of this contested zone of our cities, where residents don’t want any change, but all the evidence is telling us that we have to change. Density can be done well again. To me, perhaps the greatest irony of all is that the ‘missing middle’ was historically part of our cities when our cities were much younger and smaller. The Sydney and Melbourne inner city terraces are a great example of what we now call the ‘missing middle’, when in fact what is missing is this product in the last 20-30 years of our development, not the absolute lack of this built form in our cities. In Brisbane, the Spring Hill Cottage Queenslanders were the Queensland equivalent, which were 200sqm blocks of land. These historic structures were originally introduced as an act of Parliament in 1885 to stop this exact product from occurring, yet here we are, well over a century later trying to get it back into our city’s vernacular. As so, the aforementioned, esteemed trio of the Demographer, a German Town Planner and a Parks Commissioner, certainly had some ideas on where there is a looming affordability and capacity problem, and some simple yet important stories of how density can be done well again. I think we have plenty of inspiration for the ‘missing middle’ and density done well on our own backyards. What this product could look like, - and more importantly the type of community that co-coexists within this housing model - should be a no-brainer. But what we need to work through is how we then convince those living in areas suitable for redevelopment, and recognise that this is actually a good thing.